Inventive and enthusiastic individuals or collaborative teams are encouraged to submit their expressions of interest in the volunteer role of Creative Director for the 2013 National Conference to be held in Melbourne 30 May – 01 June. The appointed Creative Director will be responsible for the conceptualisation and execution of SONA events at the 2013 National Conference. The scope of the role and responsibility is focused on linking SONA events with the theme and content of the Conference (Materiality) and delivering the formal and operational aspects with assistance from the Institute. Samuel A. E. Lalo has kindly provided a short testimonial on his experience as 2012 SONA Creative Director. 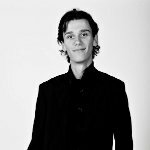 “I have been involved with SONA for almost four years and being the SONA Creative Director for the National Conference in Brisbane has certainly been one of the highlights of both my SONA and university experience. Collaborating with the Conference Coordinating Committee (CCC) to organise and execute fringe events is a big responsibility but also a rare privilege; as SONA Creative Director you will play an important role in organising events which will not only be enjoyed by more than 1000 architects from around Australia but also by students travelling from all around the country to take part. It does take a lot of hard work but I cannot stress enough what a great experience it is to be SONA Creative Director. • Attend the 2013 National Conference (30 May – 01 June). SONA will cover the cost of your ticket to attend the National Conference and if required will pay for return airfares from within Australia. • It is the SONA Creative Directors goal to ensure there is a strong SONA presence at the 2013 National Conference; ensuring that those students who attend the conference identify with the SONA events and have a good time. To make an application please include your contact details (Name, Address, Telephone, Email, University, Year Level, SONA Membership Number) and a platform statement for the position, stating why you should be selected as Creative Director of SONA fringe events for the 2013 National Conference. 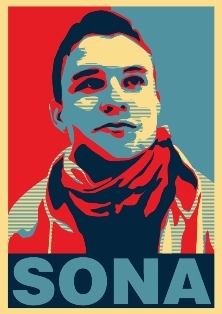 Would you make a fantastic SONA Rep in 2013? Volunteer with SONA! Download the Position Description and Nomination Form now for your chance to represent the future of Australian architecture. Nominations close on Wednesday 26th of September 2012. Tell us what you believe in, how will you make a difference to students and architecture through your involvement as a SONA Rep in 2013? SONA hosts a range of events throughout the year which involve both students and professionals. SONA makes it easy for students to meet and network with architects, fostering wherever possible opportunities for students to find employment.